David at Audio Affiliated has been honored to be a Spokane DJ selected as a winner of The Knot’s Best of Weddings consecutively three years in a row for 2016, 2017 and 2018. 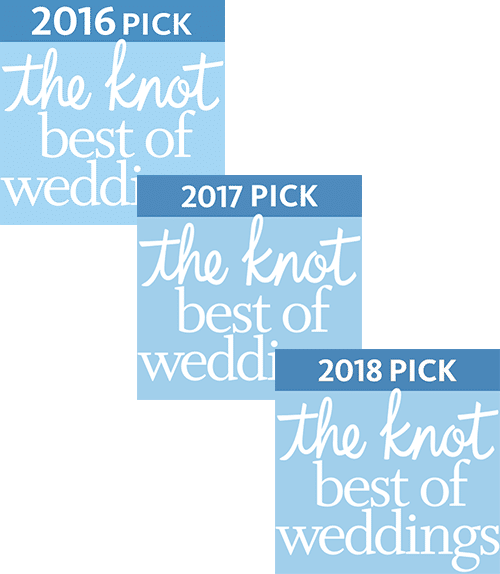 This is an award representing the highest-rated wedding professionals as reviewed by real couples, their families and wedding guests on The Knot.com. Only 2% of the 250,000 local wedding professionals listed on TheKnot.com have received this distinguished award. The Knot’s Best of Weddings Awards provides an annual by-couples, for-couples guide to the top wedding professionals across the country. 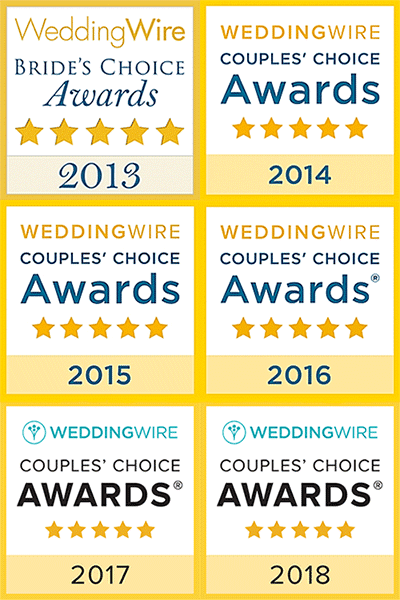 Audio Affiliated has been a recipient of the Couples’ Choice Awards® consecutively each year since 2013. The Spokane Award Program recognizes the best local businesses in and around the Spokane area that have shown an ability to use best practices in generating competitive advantages and long-term value. 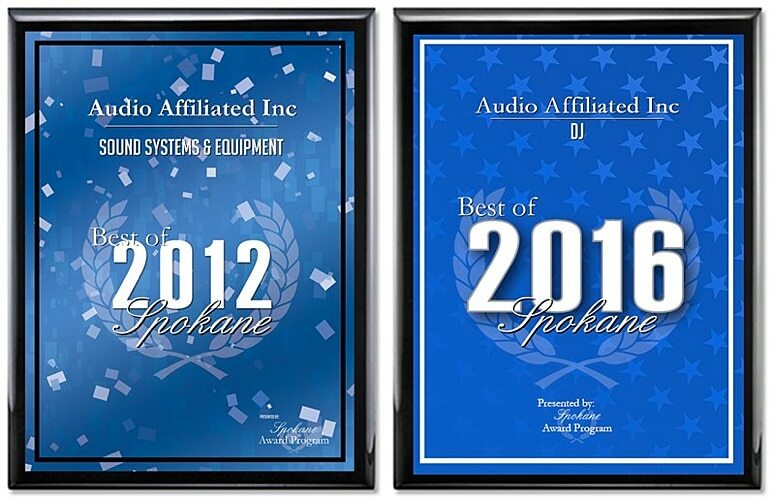 Audio Affiliated has been recognized in 2012 and again in 2016 as a local company that enhances the positive image of small business through service to clients and community involvement, helping to make the Spokane area a great place to live, work and play. See If Your Wedding Date Is Still Available!